Appearances matter, especially in poker, but many poker players do not fully appreciate the importance of image at the poker table. At the lower limits, just playing a solid tight game is usually enough to be a consistent winner. But to be a truly skilled, well-rounded player, you must be able to understand and exploit your own image at the poker table, because to a very large extent, your table image determines how the other plays in your game will respond to everything you do. First, you must be aware of how the other players in the game see you. Do they view you as tight or loose, brave or timid, a serious professional or just another clueless newbie? 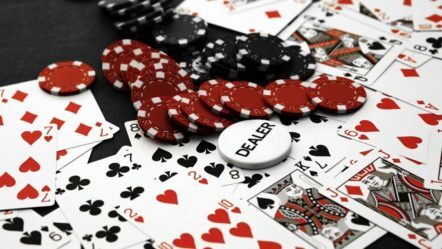 If you have been playing very tightly, you need to be aware of the fact that other players will be more apt to take shots at you, by bluffing, semi-bluffing, or just betting/raising at you with marginal hands. If your style of play has been extremely loose, then you should be aware that other players will call you down more. 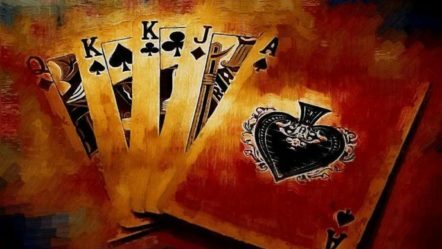 So then it becomes much more difficult for you to induce other players to lay down their hands, and if an opponent bets into you, that player is very unlikely to be bluffing (since they know are probably going to call). In short, a tight image means that your bets and raises will get much more respect, while a loosey-goosey image at the poker table means that your bets and raises will get virtually no respect at all. Tight or loose, your opponents will always fear you more when you are playing aggressively. Having your opponents in fear of you is nearly always an advantage in poker, especially as you get into the higher limits. Now they will become much more afraid to bet into you, or raise you. The more intimidated your opponents are by your playing style, the more you should be able to control the action in the game. Eventually it’s possible, if not likely that some of the other players will get fed up with being pushed around and will decide to play back at you, so you must be ready for this. 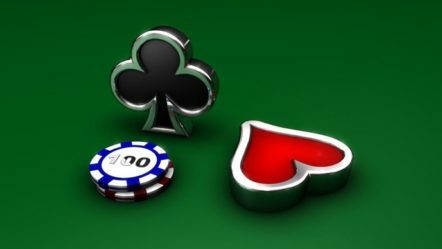 Should you Create a Fake Poker Image? 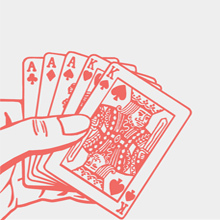 Some players take the concept of image at the poker table to the next level by trying to create a fake image. 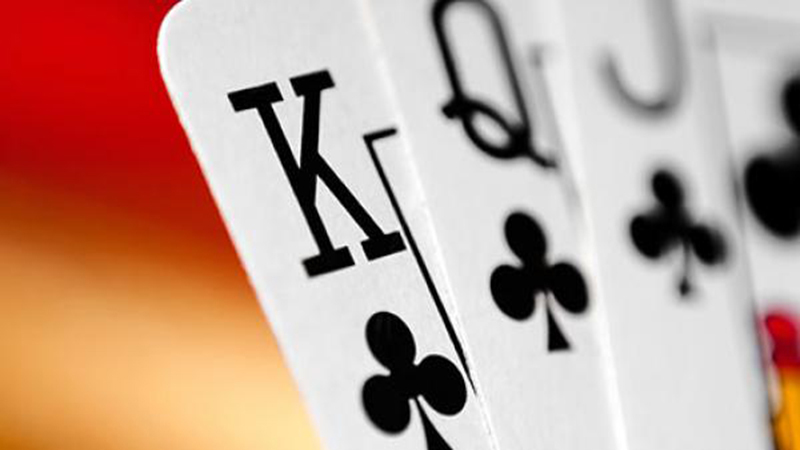 Poker is a game of deception after all, and this particular form of deception can be very profitable. The real advantage comes from creating a first impression, so that everybody at the table pegs you as one type of player, and then sneakily switching gears. 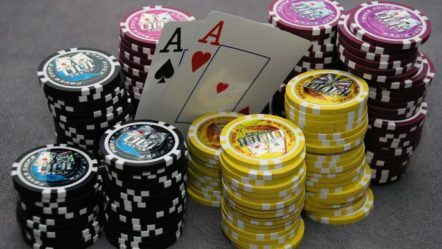 It’s harder than it seems however, and there’s no consensus among poker players as to which fake playing style is actually the most profitable. 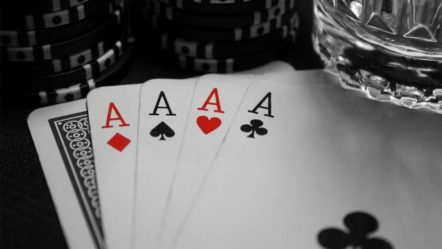 Projecting a loosey-goosey image at the poker table means that your big hands will get paid off better, but it also means that you will get more action on all your hands, period. You will get called down more often, raised more often, sucked out on more often. This will put your bankroll through some wild swings. Projecting a tight, sombre image at the poker table means that you will be able to bluff, semi-bluff, and steal the blinds and antes much more profitably. But it also means you will likely get very little action on your big hands. Faking an image at the poker table is harder than it seems, because constantly “acting” in a role that’s not really you can drain away a lot of your energy and focus. The farther away your poker “character” is from your true playing style, the more difficult it becomes to keep up the facade. Add in the fact that to make your fake image at the poker table effective, you will, to a certain extent, have to become the thing that you are portraying. If you want your opponents to believe that you are a wild maniac, then you will have to be a wild maniac, at least for a little while. This can be extremely expensive. On the other hand, if you are trying to create the impression that you are a very tight rock, at least this is a fairly cheap image to portray. It should also be mentioned that if you have been losing badly for a prolonged period of time, that creates another kind of table image problem. In short, when you are running bad and your opponents see you do nothing but fold and lose, your table image will become severely diminished no matter how you try to play. Your bets and raises will be virtually no respect at all, and your opponents will feel free to take all kinds of shots at you. If this is the case, sometimes it is just better to leave – find another table, or come back another day. On the other hand, if you do decide to stick it out and then you finally do manage to get some good cards, those good cards should get paid off nicely.